In September 2017, I wrote a piece called Individualism. 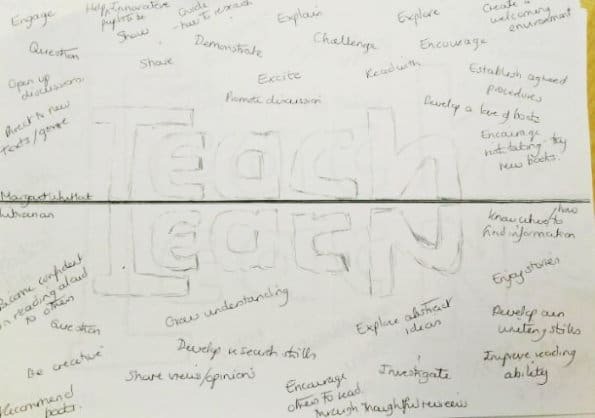 In the article I mentioned that staff had joined together during INSET time to pass professional comment on what they felt teaching and learning meant to them at St Peter’s and within the wider educational arena. A teacher is anyone who affects the environment so that others learn. This does not always have to be an adult. 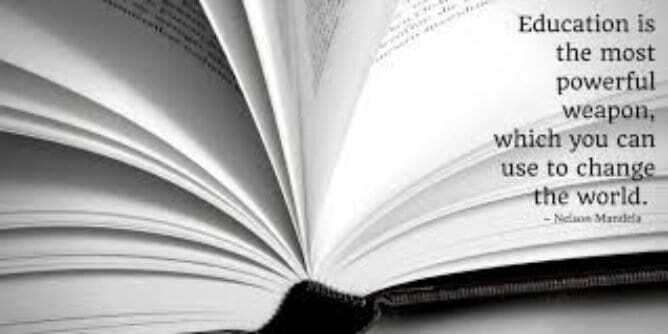 Learning is skill acquisition and increased fluency. The impact of this learning involves a permanent change in knowledge or behaviour or skill set. Teaching and Learning are the actions necessary to accomplish a goal in education/life. Teaching and Learning are linked. Without one there is not the other. The teacher and the learner are therefore also linked. 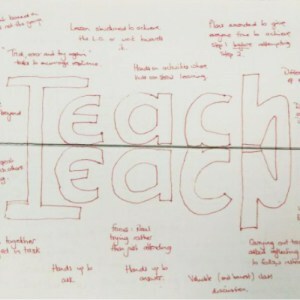 Around your Teach word – write what you ‘do’ in your teaching space with the pupils. 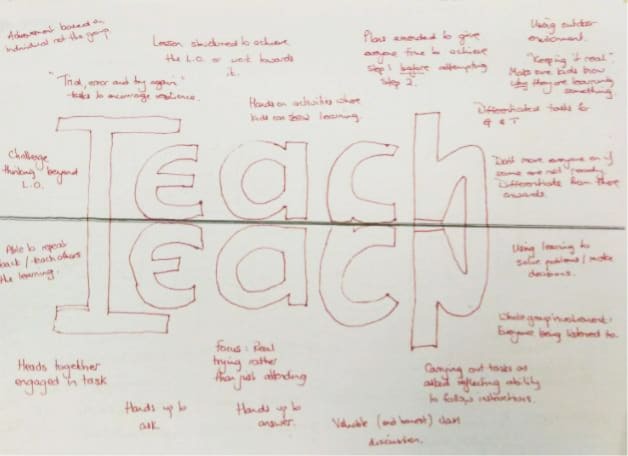 Around your Learn word – write what you see in your teaching spaces from the pupils. ‘It is clever teaching that ignites the difference in a pupil’s learning … but it is the pupil’s learning that ignites the clever teaching’. If I could summarise this long(ish) policy into just one key message for all to access then I would ask you to watch this short video entitled “You Can Learn Anything“. This was shared with me by our Head of Maths and Yr 6 tutor, Mr Payne – it succinctly summarises our message about learning. We should all know that we can learn anything we choose to. And I want the staff to know they have freedom and choice over the destiny of their teaching too.